It’s time for some Reaktor love. 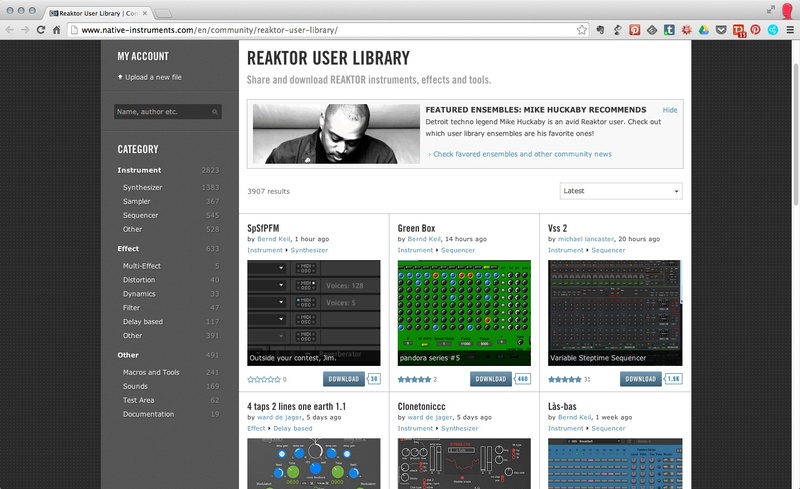 Native Instruments’ Reaktor may not get the attention of tools like Traktor or Maschine. But the software is part of the company’s DNA, still used to prototype devices (like the new drum synths for Maschine), and able to create a vast array of instruments and effects for those willing to plumb its depths. And even if you aren’t ready to tackle Maschine patching yourself, the User Library for Reaktor is one of creative sound’s greatest gems. That Web resource was, unfortunately, looking more than a little long in the tooth, though, for all the wonders contained inside. So it’s reassuring to see this week that NI has finally given it an overhaul. The payoff: the site is now actually fun to navigate, not a chore. You can easily spot oft-downloaded favorites. Searching and sorting is more useful. And there’s new content, too: already, they’ve got some video tutorials and Mike Huckaby talking about some of his favorites (like Frame 3, from former CDM contributor Peter Dines). If for some reason you’ve shied away from Reaktor in the past, a deal on right now makes it basically irresistible. Reaktor 5 – and access to 3800 User Library devices, plus lots of other content, plus all the excellent built-in goodies – is now $99/ 99 € / £89 / ¥ 11,800, through May 28th. Of course, many are surely disappointed we’re not seeing Reaktor 6. But with a best-in-breed OSC implementation, incredible DSP powers, and a rich library, I can’t really complain – and definitely not at this price.